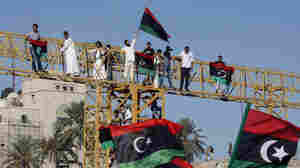 September 6, 2011  After nine weeks reporting on the progress of Libyan rebels, NPR's Lourdes Garcia-Navarro reflects on the state of the country. She says to come into the capital Tripoli with rebel forces was one of the "most extraordinary things" she's been able to do. 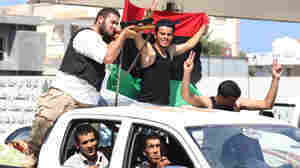 September 3, 2011  Now that the fighting has mostly died down, Libyans are focusing on the next step. That means not only stabilizing the country, but also figuring out a system of governance. The cracks are already showing. Mohammed bin Ras Ali, one of the leading members of the stabilization committee, accuses the rebel council, of hijacking the revolution and ignoring cities like Misrata, which he says won the war.